Young couple Tom Grimshaw and Jennifer Blezard kept it in the family when they decided to step up the property ladder and leave their old apartment for a brand new Bovis Home. That's because Bovis Homes came highly recommended - by Tom's parents, Peter and Diane Grimshaw, who purchased their first home through the builder, a two bed semi-detached house in Milton Keynes, in 1974. Tom, aged 25, is a community manager at a leading advertising agency, and Jennifer, 24, is a nursery manager. 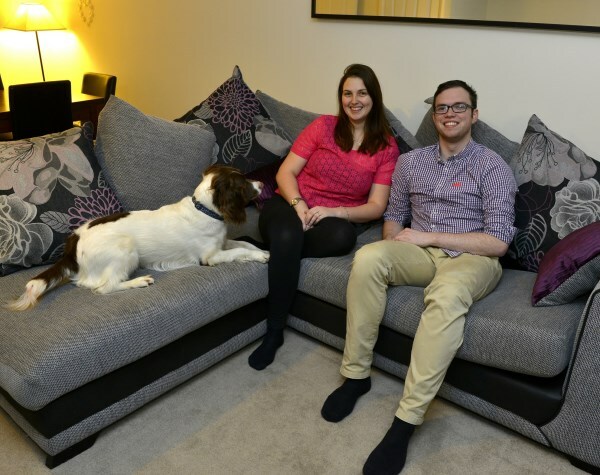 The couple are tying the knot in May having been together for eight years, and are now celebrating their new life in their lovely three-bed at Saxon Grove in Great Denham, Bedfordshire, along with Oakley the dog. Tom and Jennifer were able to buy their new home using Help to Buy Equity - the Government-backed scheme that requires a deposit of just five per cent. The Government provides an equity loan of 20 per cent of the property's value, meaning buyers can access a 75 per cent mortgage. The couple wanted to make the move from an apartment to a house, so sold their previous property, bought their semi-detached house off-plan with Bovis Homes, and stayed with Tom's parents while their new house was being completed. Tom explains: "The main benefit of using the Help to Buy scheme was not having to find a huge deposit, meaning that it was much easier and quicker for us to buy a house. 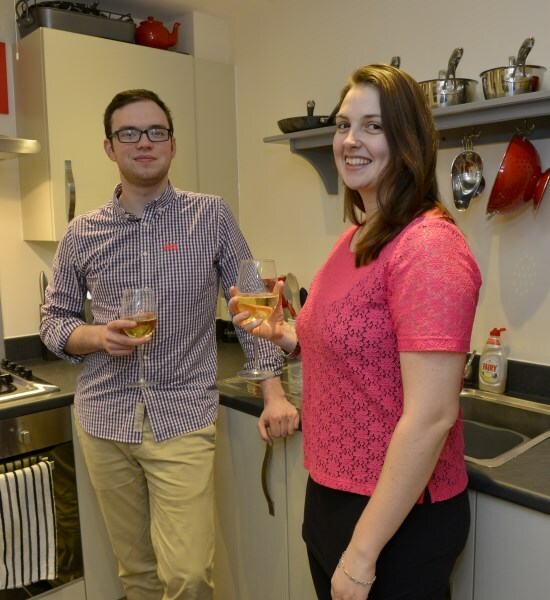 "Our flat was only a five-minute walk from our new house and we really wanted to stay in the area. Jen actually works on Saxon Grove, so it's great because she can walk there and it also has good access to Milton Keynes for my work. It is also only half an hour from my family and has great access to the M1 so that we can go up north to visit Jen's family regularly too. "After selecting the location we had a look at the plans and chose this plot because it was a great size, had a garden, garage, en suite bathroom and was affordable for us. "Purchasing off-plan was great for us because it meant that we got to choose our kitchen, including worktop and unit finishes, and we also got to pick the tiles for our en suite bathroom, main bathroom and downstairs toilet. Choosing all of these things ourselves was great fun and really allowed us to put a personal touch on the house. "The support we received from Bovis Homes' sales team was excellent; it made a massive difference, especially after the stressful experience of selling our flat. We can't thank Oliver in the sales team enough!" The couple are now looking forward to the big day in May and are currently enjoying planning for the event.